Come fall in love with our store! See that we have a lot to choose from in our 12,000 square foot showroom. We only sell quality built décor and furniture that could turn any house into a home. From hand-crafted items to special ordered material. 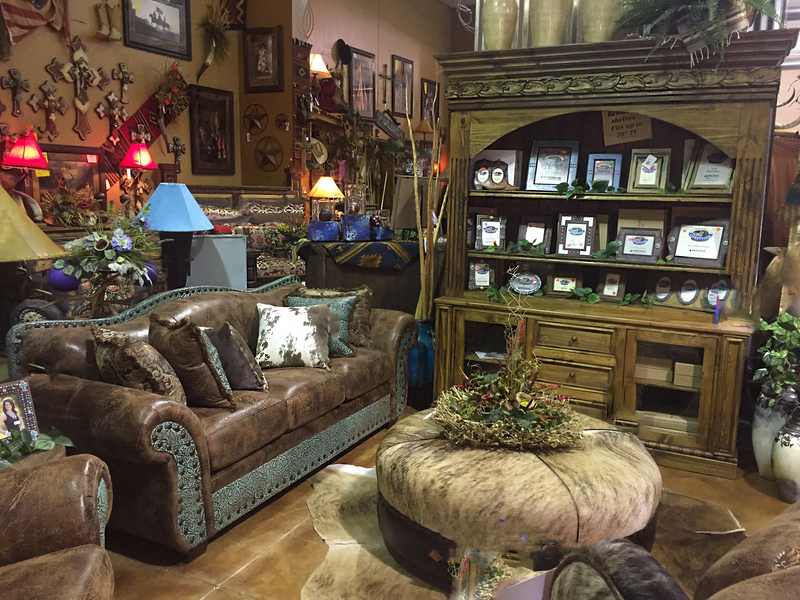 We have everything in our store to create the perfect atmosphere! Cowhides, rugs, accessories, bedroom furniture, living room furniture, kitchen tables, office furniture and bathroom accessories. Completely made by hand, each clock features rope coiled around the cowhide face featuring branded numbers. (Due to the hand-made nature of the piece, no two are identical. Rope and cowhide color may vary.) Approximately 14" diameter.